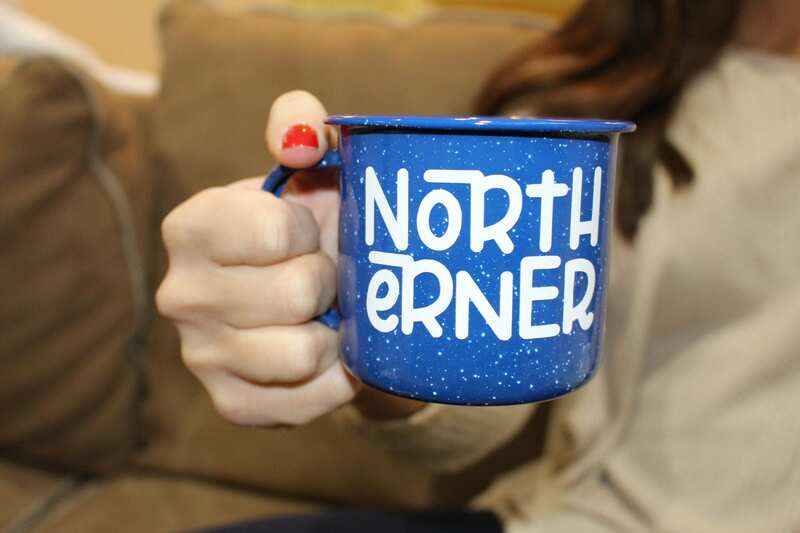 This 12 oz Enamel Mug with Northerner decal accent is perfect for gifts of all occasions or any Northern Soul. 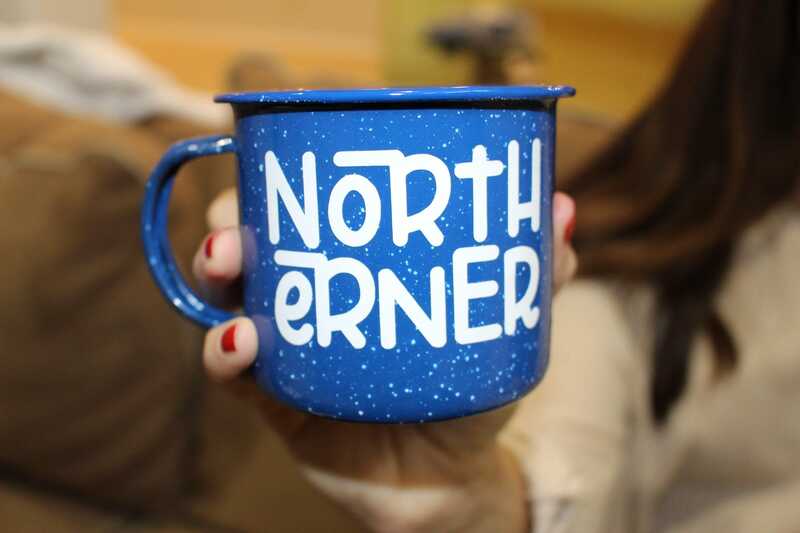 This NORTHERN themed mug is perfect for outdoor adventures of all kinds. 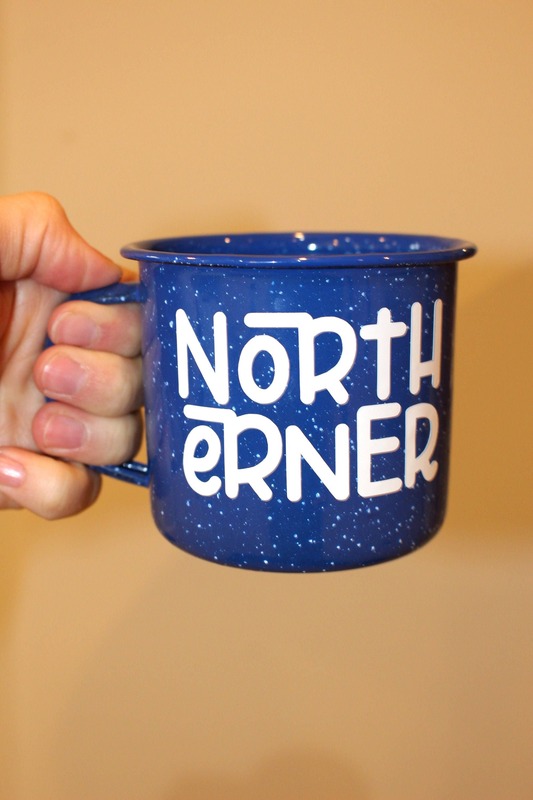 Order in bulk and send them to all your friends from the North! Ready for some hot coffee or cocoa on a cool winters day! Very cute mug!!! Love this shop!